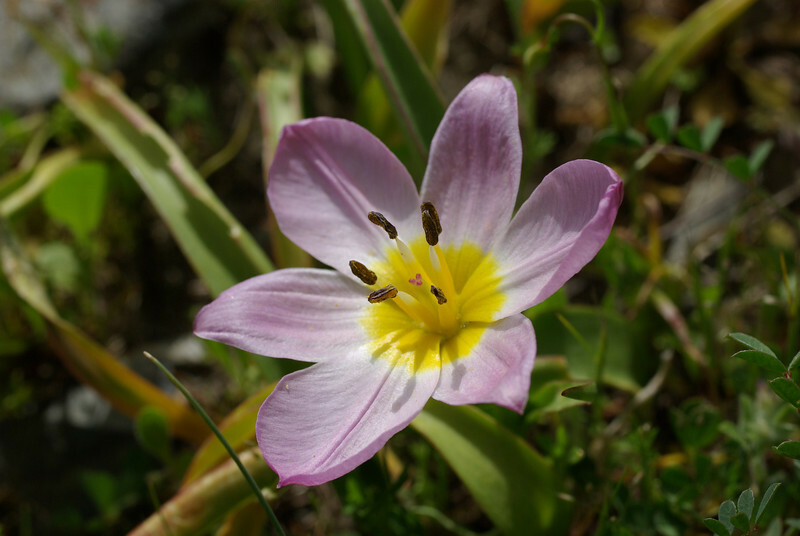 Tulipa saxatilis. Rock Tulip. Crete 2012. Pink tulip with white edged yellow base to petals and rather oblong leaves.